Completion of the renovation will insure continued coldwater fish production and stocking at levels sufficient to meet projected fisheries restoration and management needs for Green Bay and Lake Michigan. The fish populations in Green Bay and Lake Michigan are unbalanced with reduced native fish populations and increased exotic species populations. The Lake Michigan ecosystem was transformed over the last century by pollution, habitat degradation, the introduction of exotic species, and the unrestricted harvest of native species. Even today the presence of dozens of exotic species, together with irreversible losses of near-shore wetland and tributary habitats, precludes the full restoration of the fish community. Healthy populations of predator fish can help reduce populations of exotic prey species and help re-balance the fish community. 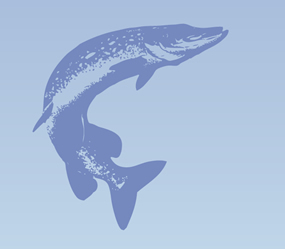 Currently, the populations of many of the top predators in Green Bay and Lake Michigan are supported by stocking. For this project, the Wild Rose State Fish Hatchery was significantly renovated to increase the effectiveness of coldwater fish production, stocking, and management, especially for brown trout (Salmo trutta), rainbow trout (Oncorhynchus mykiss), and Chinook salmon (Oncorhynchus tshawytscha) populations. The renovation included replacing aging and inefficient fish rearing facilities and providing a new water supply that meets current groundwater standards. Continued stocking of predator fish species into Green Bay and Lake Michigan is expected to help restore a more natural, balanced fish community and provide enhanced fishing opportunities for the public. 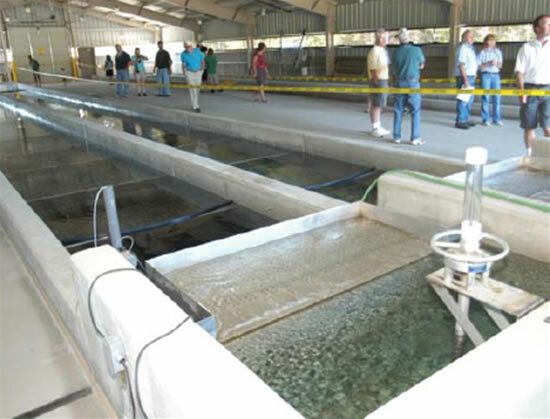 The improved fish rearing facility makes it possible for fisheries managers to continue stocking trout and salmon. Stocking will help decrease the prevalence of exotic prey species by increasing the abundance and diversity of predator fish populations. Anglers will also have enhanced fishing opportunities due to the stocking efforts. Stocking occurs throughout Green Bay and Lake Michigan. Project benefits were not quantified in acres. 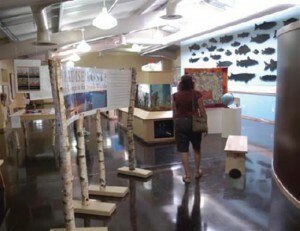 Renovations to the Wild Rose Fish Hatchery were completed in 2007. The project received $6,000,000 in NRDA settlement funding and attracted additional matching funds and/or in-kind services for a total budget of $17,757,903. Renovating the Wild Rose Fish Hatchery coldwater facilities has made it possible to rear and stock more fish, specifically brown and rainbow trout and Chinook Salmon. For example, production of rainbow trout is expected to increase by 100,000 fish per year. The Wisconsin Department of Natural Resources has seen positive results with its stocking program and the completion of Phase I will greatly improve coldwater fish stocking capabilities. $6,000,000 in NRDA settlement funding plus matching funds and/or in kind services for a total budget of $17,757,903.